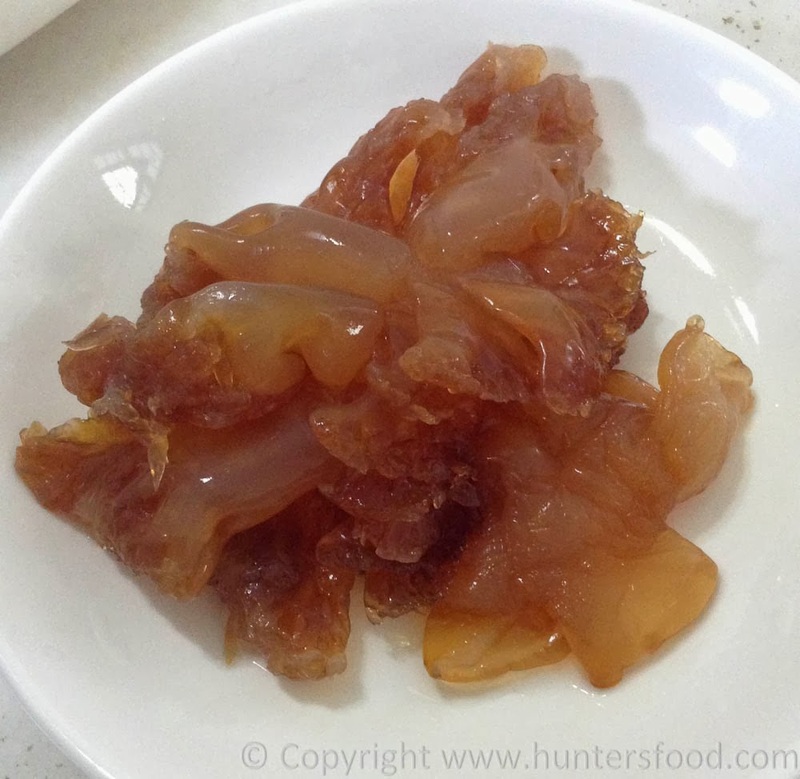 This is a preserved jellyfish which can be commonly found in wet markets in Sarawak especially Sibu, Bintulu and Miri. 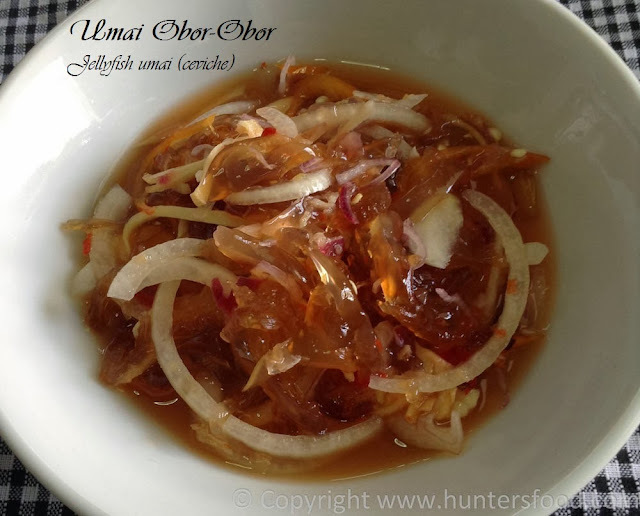 It is another popular type of umai which is originated from Melanau ethnic. It is sold in brine water and can last very long. I bought the above at RM18/half kilo, and for 3-4 pax, I just needed about 200gm of this jellyfish which cost me about RM7. Preparation of this preserved jellyfish umai is pretty simple, it only needs to be soaked in clean water for about 1-2 hours to remove the saltiness, and will be prepared as how other umai are done, except of adding salt in its seasoning. This ceviche-like dish is great for appetizer.